Experience the world’s best PC-based electronic charting and navigation software to plan and navigate your next voyage. Download and use a fully functional Coastal Explorer for 10 days. 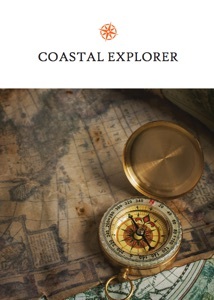 If you choose to purchase Coastal Explorer, you can do so from within the app for $379 (this is a "download only" version of Coastal Explorer; packaging, installation DVD, and booklet are not included at this price). Download Note: This is a large download, around 300 MB. If you are looking for Coastal Explorer 2011 (3.1) or would like to upgrade to the latest version, please visit the support page. Open the download file to install and launch Coastal Explorer. Read Exploring Coastal Explorer, our getting started guide. Watch our training video series. Use the built-in chart store to install charts for the areas you need.